With only months to go before the big shows and being without an auditorium, the Jamesville-DeWitt High School musical cast is working hard to ensure their production will be ready for showtime. Among the new movies to come out in the theaters this year, three have been commonly talked about among the students at Jamesville-DeWitt High School. “The Grinch,” “Halloween,” and “The Hate U Give,” each with a different genre and plot. Although these movies are all different, students say they have enjoyed these movies. The idea that leadership is a teachable concept is one of the main ideas in Section Three Leadership, an academy whose members are student-athletes who show exceptional leadership qualities. 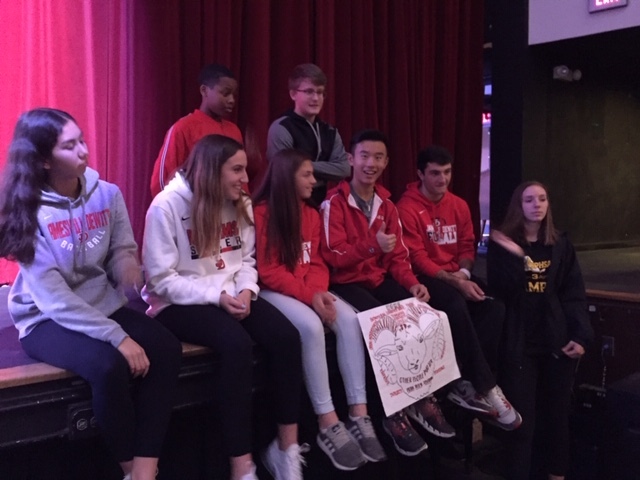 These leadership qualities used in the classroom and in athletics led to eight Jamesville-Dewitt High School students becoming involved in this brainchild of Dr. Scott Vinciguerra. Remember to always check out our videos on youtube! JD Ramfeed: Videos every Wednesday, Thursday and Friday!